Better than bird's eye viewBook now and get the best window-seat picture in the sky! Book your next adventure!For as low as P 1, 299 All In. 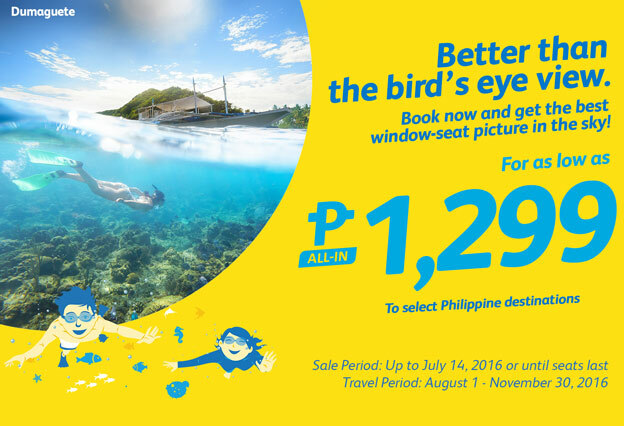 Avail the lowest price of airfare at Cebu Pacific Seat Sale Promo Fares 2016Cebupac Domestic Promo Fares 2016 Sale Period: Up to July 14, 2016 or until seats last.Travel Period: August 1, 2016 to November 30, 2017 BOOK NOW!